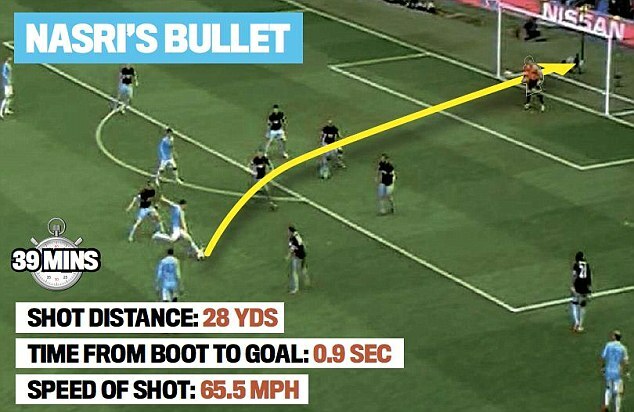 When Samir Nasri’s goal flew into the net on Sunday, the elderly couple sitting in the aisle seats in front of the media section rose quietly to their feet and hugged. Whoever you support, whichever league your club are in, no matter how much or little you have spent to be there, it still feels the same when you win. Football has changed in many ways, both in the way it is played and the way it is watched. 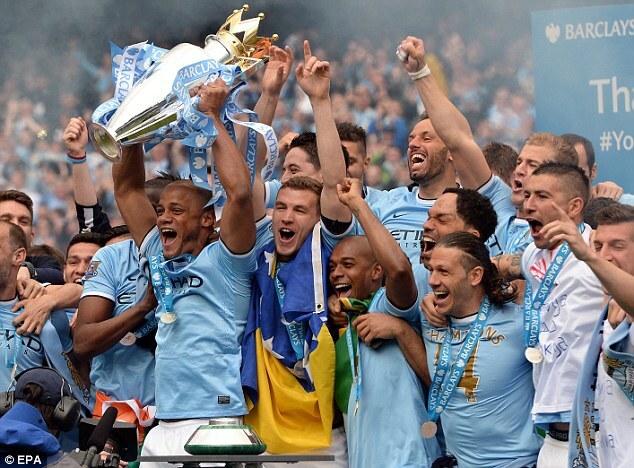 Few football clubs embody that more than Manchester City. 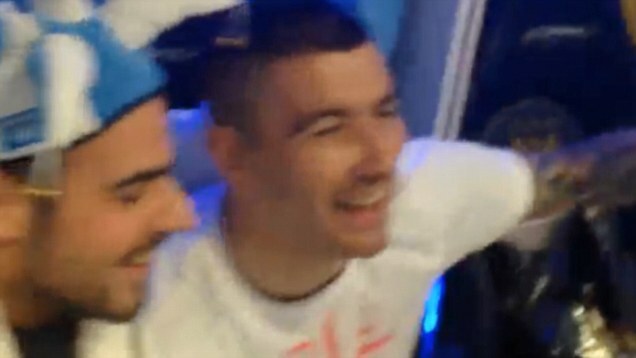 The new Barclays Premier League champions are a very different club than the one flooded by money from the Middle East less than six years ago. 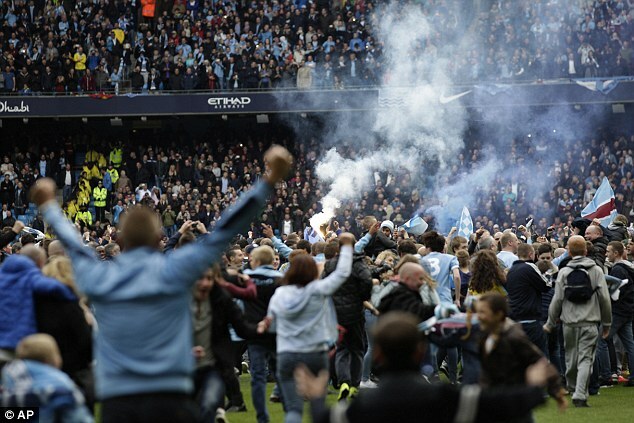 Some things remain the same, though, and winning feels the same now as it did before celebrations were expressed on Twitter and Facebook and before clubs had a ‘Season Finale Sponsor’, as City did here on Sunday. It was Dubai Expo 2020 if you are interested. FA chairman Greg Dyke suggested in print that the number of foreign players at City depressed him, as if the make-up of Manuel Pellegrini’s team somehow devalued the achievement. The old couple in the aisle seats yesterday are unlikely to agree. 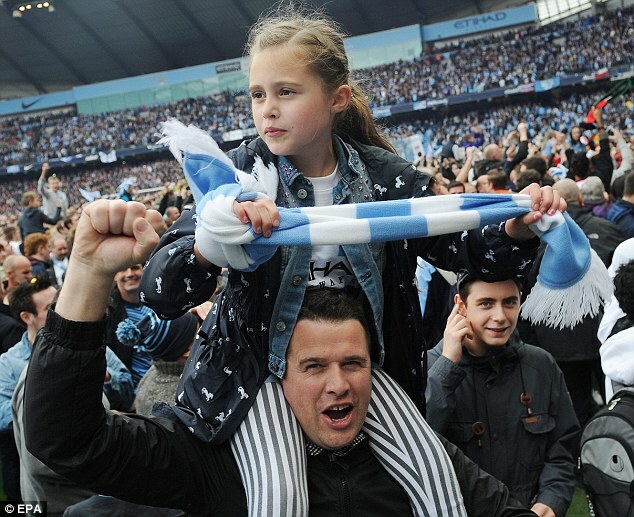 In all likelihood, they had season tickets at the old Maine Road, too. They will love their club now just as much as they did back then. Maybe even a little more. They, like many, have waited more than 40 years for their turn at the top to roll round again. A little over a decade ago they watched Andy Morrison and Kevin Horlock. These days it is Vincent Kompany and Yaya Toure wearing those shirts. 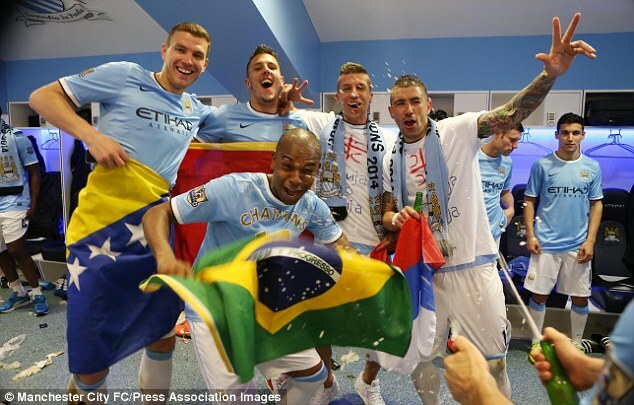 They have always embraced players from overseas at City, though. 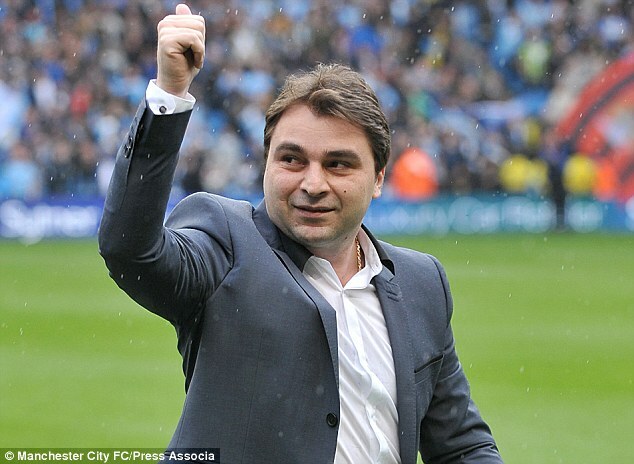 Georgi Kinkladze was here on Sunday, as was Shaun Goater. They are very much part of this club’s heritage. These days they just have better players with whom to share a dressing room and those players have arrived at great cost. 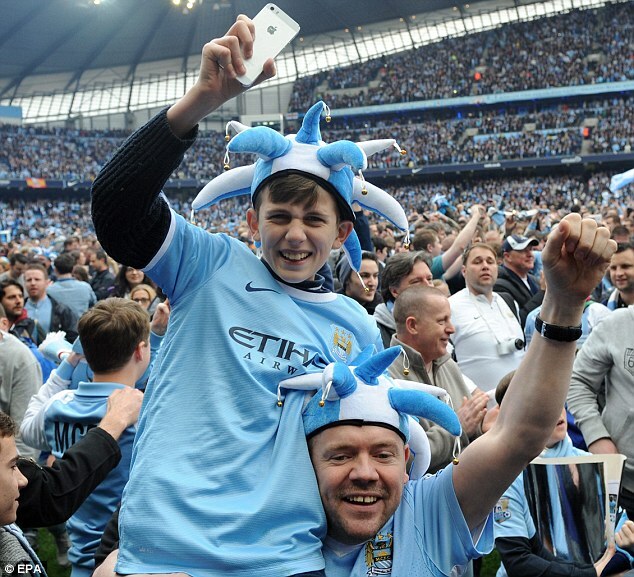 There will be those in the football community enjoying City’s current tussle with UEFA over Financial Fair Play. It’s easy to label the champions as a heavy-spending club driven forwards at unnatural speed by foreign money. To tag City so clumsily, though, is to miss the point. Football clubs remain, more than anything, about the people who go to watch them and those who rushed on to the playing surface at full-time are no different, on the whole, to those who follow Barnet or Bristol Rovers or Birmingham City. Most of them will spend an inordinate amount of time watching, discussing and worrying about their team. Their team will dominate their conversations at home, at work, in the pub and on Greek Island beaches this summer. City care about their relatively small English numbers. They care about it in the boardroom and the dressing room. No club cares more about the make-up of its squad than it does about results, though. That is especially the case when the team plays football like this City one can. 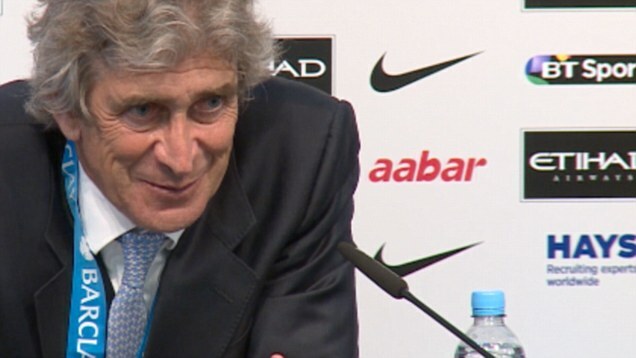 Pellegrini’s team have not been at their best for a while now. They have been functional rather than devastating. There is something to be said for that – just ask Liverpool – and it has been enough to get them through. They remain supremely gifted. On Sunday, towards the end of this one-sided game, West Ham’s Andy Carroll – a candidate for a place in England’s World Cup squad – attempted to control a ball at the far post. He failed dreadfully and the ball bounced behind the goal. 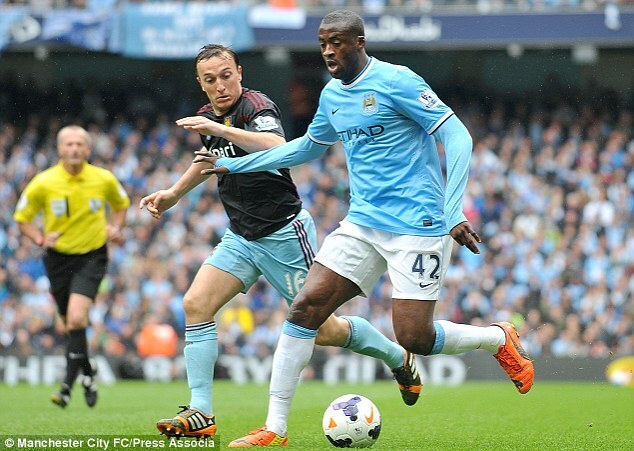 Minutes later, City’s Brazilian substitute Fernandinho received a sharp pass with his back to goal. He controlled it instantly on the half volley, turned and – in the same movement – moved the ball onwards to a team-mate. It would be wrong to suggest an English player couldn’t have done that. It would also be wrong, however, to suggest players like Fernandinho, Toure and Kompany have not contributed to the raising of standards in the Premier League. At City we can expect only that the standard will get higher over the years. The club will have some players to replace before long. 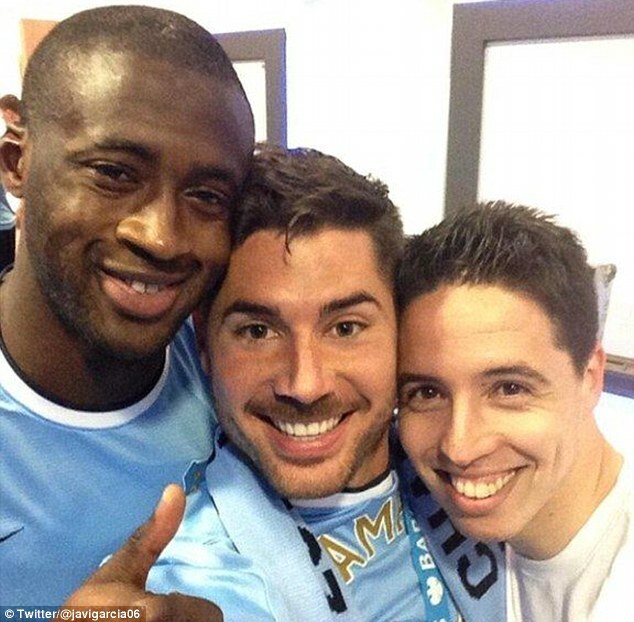 Toure, for example, cannot go on at this rampaging level for ever. City’s current issue with UEFA over FFP – they have been fined £50m for breaching the regulations – will not affect their spending plans significantly over the summers to come. They are unlikely to go backwards again – as they did last season under Roberto Mancini – with Pellegrini in charge and it will be interesting now to see if their rivals can spend astutely enough to close the gap. This was a rather gentle party yesterday. Certainly it was by the standards of 2012’s heart-stopping finale. Back then it felt like a dam was breaking. Winning still feels like winning, though, and at the end yesterday a man carried his young son away from the ground. If Dyke is depressed about the make-up of his team, that guy wasn’t.